Never Done Anything Like This Before." I’m sure this has happened to you, you want to improve sales and conversion on your website so you start browsing the Internet and come across a really cool technique on another website. You wish you could apply this method to your site but you have no clue how it was done and, in some cases, neither does your webmaster. Okay so let’s give your webmaster the benefit of the doubt and say they can apply that technique to your website, or they say they can "figure it out". 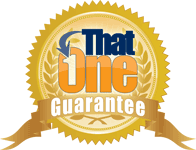 How soon can he or she get to it and what’s it going to cost you for them to figure it out and apply it to your website? Or maybe, you're just getting started online and don't have a webmaster yet and you'd like to learn some techniques to make your website more dynamic so you can improve sales enough to outsource more of the tasks you don't like to do. In either case it's a good idea to gain an understanding of the basics and know some of these "tricks" yourself. One reason is you'll be able to make improvements and test items yourself, and Second, you'll be better versed so that you can tell your webmaster exactly what you want AND know the time it actually takes to do them. A "quick" example of webpage automation that you can apply yourself you've already seen on this web page! In the first section of this letter you see today's date, just like this ( Wednesday, April 24, 2019 ) . This is achieved with a simple script that will always show today's date. It's been proven that this little technique increases conversion. It allows the page to look current and not out of date. And if you're reading this page I already know that you're looking to find out "web page secrets" to improve your sales on your websites. Obviously, you've come to this website for a reason, or maybe many reasons, a few of which we've discussed earlier. I'm guessing the biggest reason though is to learn about webpage secrets and how to apply them to your websites. First I'll explain about this "Live" webinar series and then I'll explain a little about who I am and why I can make this easier to learn than you think. Each session is "scheduled" for 90 minutes but I like to give plenty of examples and case studies. Webpage Fundamentals - This is to cover the basics and get everyone to the same starting point. This class is taught with "no experience necessary" so this portion we'll quickly cover the "need to know" and leave out the boring stuff. You'll learn about the different applications and what is or isn't needed. Also we'll cover SEO basics in your web pages. Graphic Elements - It would be hard to cover webpage secrets without covering some graphic elements like image placement, background images, and SEO for images. CSS Secrets - Did you know CSS (Cascading Style Sheets) make your site look better, makes formatting faster and makes your pages load quicker. (it's been proven that Google is currently using site speed in rankings) Also your page code will be cleaner and easier for search engines to spider. In addition, WordPress uses CSS for styling their themes which we'll cover in this session. To Be Determined - This class will be filled with things You would like to learn. You will be given the opportunity throughout the class to submit topics you'd like to see covered and during this session I'll discuss them. Most people online know me as Frank "That One Web Guy". I've been involved in web design, consulting and web development since the early 1990's. I've been fortunate to work for and with some of the top Marketers in many different online industries. I only tell you these things so that you will understand that I've been "in the trenches" with graphics and web design for many many years and understand what is needed to do the job "right". In addition to the previous experience I provide training on many web topics for online businesses. This gives me the necessary tools and understanding to easily explain these topics to you in a way that you can grasp these technologies and use them for your day-to-day online life. The Members Only Area will contain the video replays but also links to the resources I use on a daily basis. These links I've accumulated from working on the web for nearly 2 decades. You'll also get access to surprise bonuses and additional training videos that you will find useful. 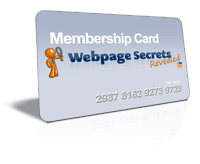 Some of my membership sites I charge $37 a month for but you will get full Life-Time access to the Webpage Secrets Revealed Members Only Membership area at no additional charge. In this Bonus you'll receive all of the class examples including the different templates and scripts that we'll cover live in class. These are time tested scripts and templates that I have used over and over and many of these are the first time I'll be sharing them. Many of the scripts or add-ons you'll be able to cut and paste to add to your web pages to make it quick and painless. YES! I want these Awesome Bonuses and The Class Too! If for any reason, within the 30 days from the date of purchase of this course, you are not satisfied with "Web Graphics Explained", simply contact us via email and we will buy back your membership. NO questions asked. We know this training works. It works for those who've already attended the training from all over the world. If you follow the instructions and examples provided you will see more results quicker (and more cost effective) than you thought possible. Get Registered For "Webpage Secrets Revealed"
Frank Deardurff III - That One Web Guy! P.S. Order now to receive your instant access to “Webpage Secrets Revealed” and learn how you can supercharge your site’s performance!